Update 1/28/19: The nonpartisan Congressional Budget Office reported that the shutdown cost about $11 billion, at least $3 billion being a permanent loss. 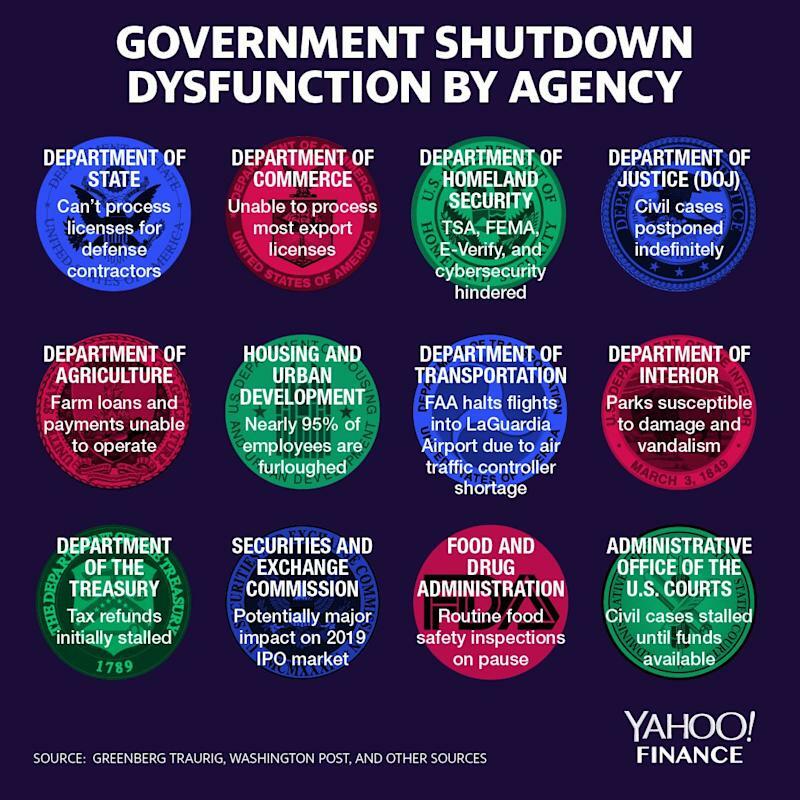 Lost productivity from furloughed workers and weakened economic activity during the 35-day partial government shutdown cost the U.S. economy at least $6 billion, according to a new analysis from S&P Global Ratings. 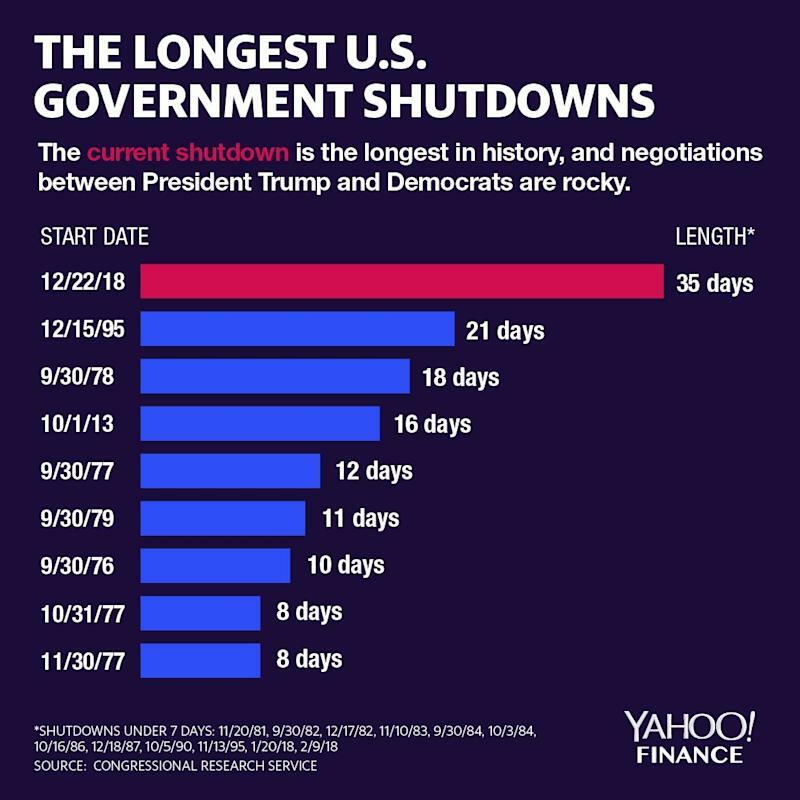 On Friday, after staff shortages caused disruptions at some of that nation’s busiest airports, President Donald Trump agreed to end the longest-ever shutdown without Congress fulfilling his demand of $5.7 billion for a border wall. Congress then passed seven stopgap spending bills to fund affected government agencies through February 15. "Although this shutdown has ended, little agreement on Capitol Hill will likely weigh on business confidence and financial market sentiments," S&P said in a news release. 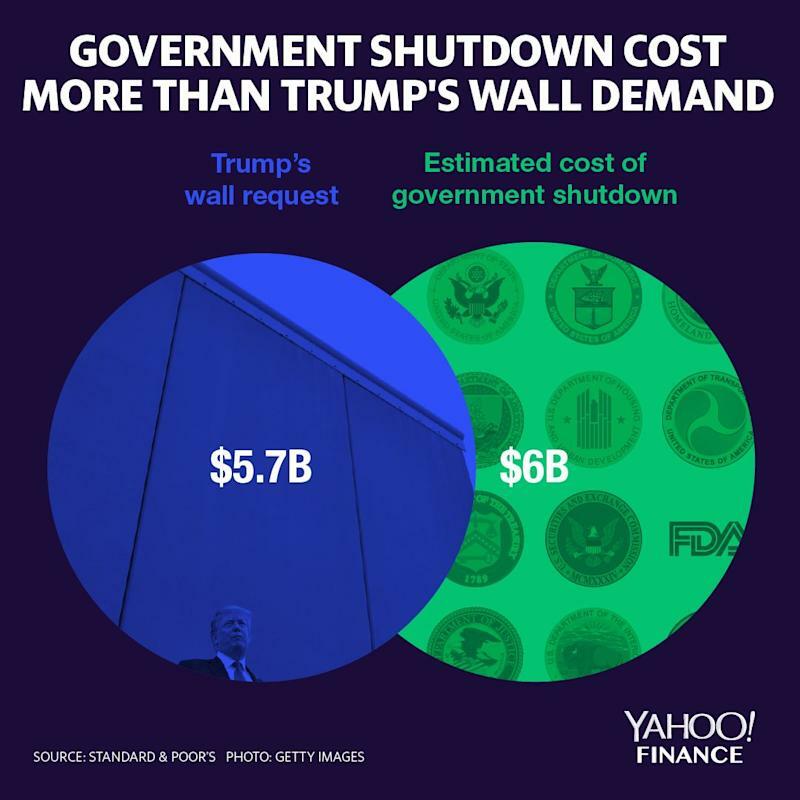 On January 22, The Committee for a Responsible Federal Budget (CRFB) estimated the cost of the shutdown to be $26 billion. That would be more than four times as much as Trump demanded for a border wall. The shutdown hit various government agencies, with furloughed workers and particularly contractors — who lost work and will not receive backpay — feeling the affects in their daily lives. In a note late Friday night, Morgan Stanley analysts estimated that the shutdown would result in a .5 percentage point drag on first quarter GDP growth. The analysts explained that “direct impacts of the government shutdown will flow through GDP via reduced hours worked by government employees, while indirect effects will be felt through impacts on government contracts, and the reduced consumption of government employees who have been without pay." 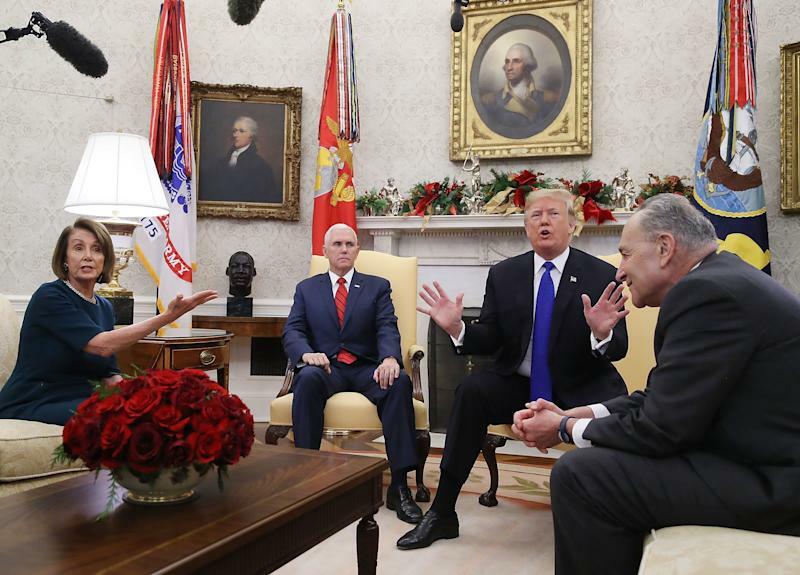 On December 11, Trump told told Senate Minority Leader Chuck Schumer (D-N.Y.) and House Minority Leader Nancy Pelosi (D-Calif.) that he would be “proud to shut down the government” and take full responsibility for it. "I am proud to shut down the government for border security because the people of this country don't want criminals and people that have lots of problems and drugs pouring into our country," Trump said at a meeting with the Democratic leaders. "So I will take the mantle. I will be the one to shut it down. I'm not going to blame you for it." The U.S. government shutdown, along with Brexit and China, dominated conversation at the World Economic Forum in Davos, Switzerland from January 22 to January 25.